UT Idea Lab | UT ideaLab made students’ and teachers’ eyes sparkle! 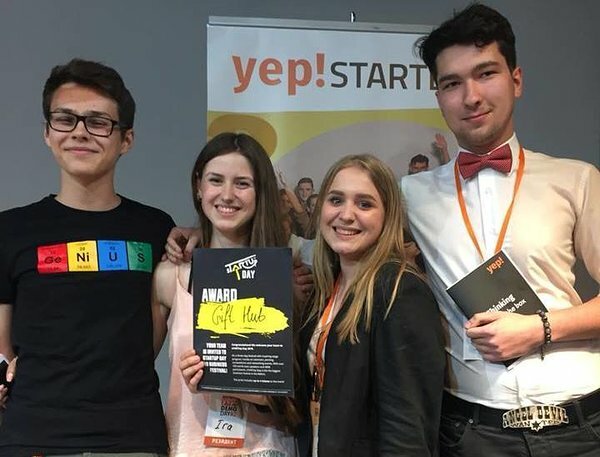 On the next day (22nd of May) Yep!STARTER business development programme students presented their semester-long work and competed for the opportunity to pitch at sTARTUp Day, a business festival in Tartu. 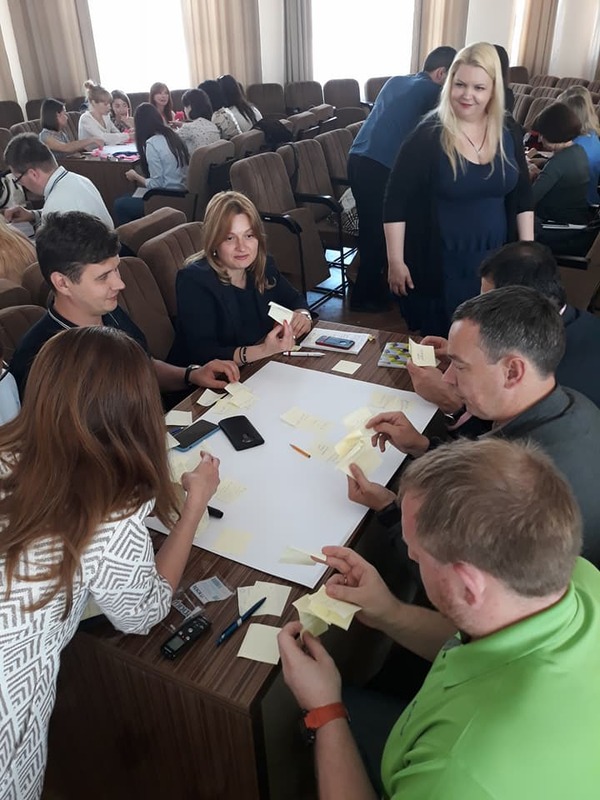 A project „Transforming Estonian Best Practice of Practical Entrepreneurship Studies to Ukrainian Universities” launched in Kiev in autumn 2017 under the leadership of IdeaLab reached its first milestone. In this phase, two events took place - a seminar about creative teaching methods for academic staff and students’ business ideas competition. In the large hall of the Ministry of Science and Education of Ukraine, there were high school lecturers from Kiev and cities far away, such as Harkov and Donetsk. Participants showed an active interest in the UT IdeaLab concept and Ukrainian partner organisation activities. A lot of questions were asked and many people were interested in future cooperation. Among other things, there was a great interest in how to turn a university more entrepreneurial. A central part of the day was the seminar on creative teaching methods, conducted by Elina Kallas, lecturer of entrepreneurship at the UT Faculty of Economics and Business Administration. Academic staff participated eagerly in group works, were extremely active and creative. "I am grateful for the opportunity to attend this interesting seminar. We want to work together with the University of Tartu, following your example in the development of entrepreneurship education and the creation of an IdeaLab, "said Natalja Bondar, Dean of the Faculty of Economics from the National Transport University of Ukraine. The student business ideas development programme Yep! STARTER was created in collaboration between UT IdeaLab and the Ukrainian partner NGO "Platform for Innovative Partnership". Yep! STARTER is based on the experience of the IdeLab’s pre-Incubation programme and takes into account the needs of Ukrainian universities. In February eighteen teams formed at inspiration event and they developed their ideas in interactive workshops coached by mentors from Estonia and Ukraine. The programme was attended by students from ten Ukrainian universities, including the largest: Kiev National Economic University, Taras Shevchenko National University of Kiev, National Aviation University. Some students were from Donetsk National Technical University and came to Kiev to take part at workshops. 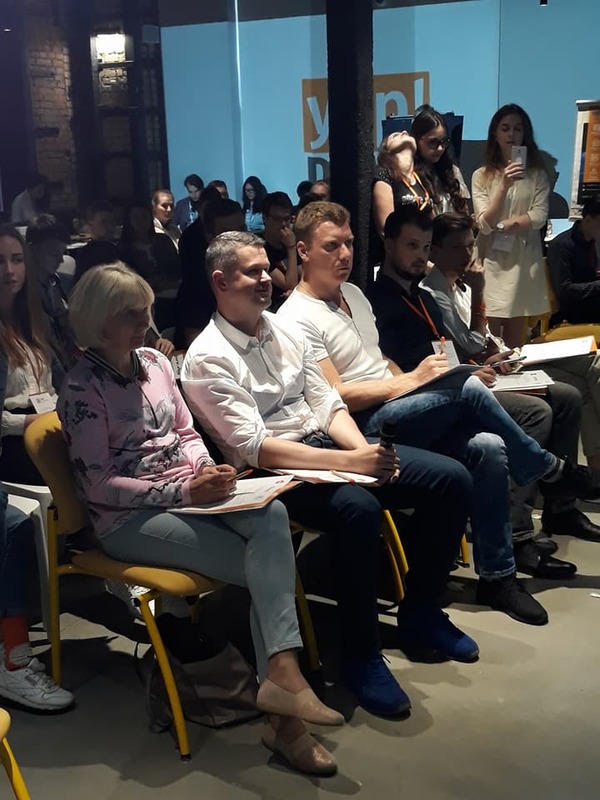 The jury, which included, in addition to Ukrainian representatives, Maret Ahonen, UT IdeaLab Manager, and Sven Parkel, Managing Director of the Tartu Biotechnology Park, chose team GiftHub to be the winner. The winning team wants to simplify the purchase of gifts by using robot (bot) text messaging. Four members of the GiftHub team won a trip to Tartu and will have the opportunity to present their idea on IdeaLab’s pitching stage at sTARTUp Day. Team leader Ihor Levenets expressed his sincere joy, was grateful for the UT IdeaLab and promised to work on his business plan in order to take part of the international business ideas competition in Tartu. In September, the second phase of the project "Transforming Estonian Best Practice of Practical Entrepreneurship Studies to Ukrainian Universities" will be launched. The project is funded by the Ministry of Foreign Affairs's Development and Humanitarian Aid Instruments.